For special pre-release purchase price, please click here. To read endorsements, reviews and readers’ comments, click here. To purchase ‘Soul Friend’ click here. To read reviews and readers’ comments click here. Michael Trevelyan is determined to claim his inheritance at all costs. Bitterness consumes him and he refuses to forgive those who have betrayed him. Yet, when he meets Alexandra Hope, things begin to change. She challenges his views but also listens while he shares his pain. Can Michael move on from the past and learn to forgive? Can Alexandra hold onto her faith in God as she deals with their deepening relationship? Can they both learn to trust each other—and God? 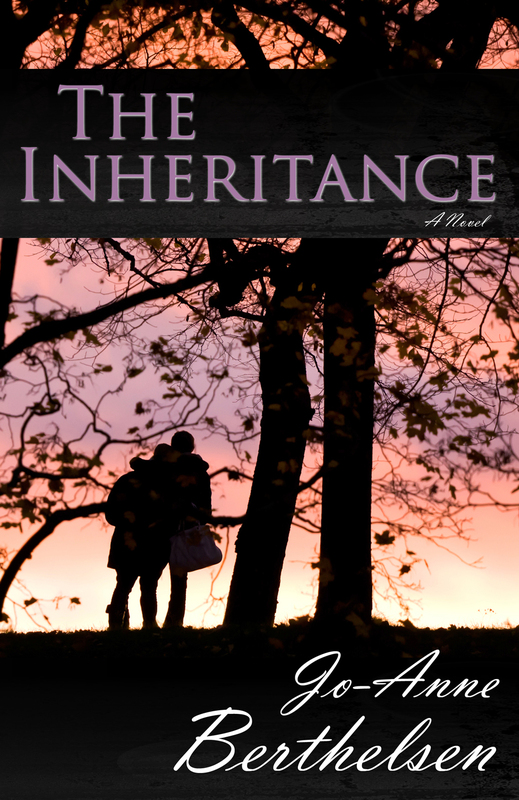 The Inheritance is a stirring story of family secrets, forgiveness and faith—of leaving behinda dark, painful legacy and walking into the light of God’s eternal inheritance. To purchase The Inheritance, click here. Eventually she begins her own journey towards God, but it is not until she accepts help from Heléna Hajek that she finds the strength to forgive. Heléna soon becomes an integral part of Susan’s life and longs to bring God’s healing to other family members as well. Is there a way she can help Susan’s son Peter – or perhaps even Susan’s mother? To purchase ‘Heléna’s Legacy’ click here. Jenna’s story is told in the hope that it will inspire and encourage readers, both male and female, to pursue all they are called to do in life with faith and hope in their hearts, secure in God’s love and reliant on the strength and wisdom only God can provide. Can you imagine growing up totally blind, yet longing to attend normal school and be treated the same as anyone else? Despite encountering rejection, discouragement and injustice, Laura Harding is determined to prove that she and others with perceived disabilities can achieve whatever they want to in life. At times Laura needs all the strength she can muster to hold onto her dreams – but will it be enough? And can she ever have faith in a God who seems to have let her down in so many ways? This story honours those who, with courage and hope in their hearts, have overcome so much to develop their God-given gifts to the full, thereby blessing and inspiring us all. This is the sequel to ‘Heléna’, but can also be read as a ‘stand alone’ novel. Heléna arrives in Sydney after a long sea voyage, and is sent first to a migrant camp at Bathurst, where she is told there is little chance of pursuing her music career in her new country. She begins work in a factory in Brisbane, but eventually moves to Sydney, where new friends help her to find her feet and pursue her dreams. In the years that follow, Heléna experiences great joy but also deep trials, yet manages to hold onto her faith in God, encouraging others in the process to come to terms with their own past and move on. Inspired by the life of a post-war Czech immigrant to Australia, this story seeks to give hope and courage to all who read it to continue trusting God throughout their own life journeys. This book is based on the true story of a remarkable woman whose inner strength and courage impacted many. It has been written in the hope that others might be similarly inspired to continue to ‘keep the faith’, whatever the difficulties encountered as they journey through life.